Here is an image caption to go on the trip report, yay! 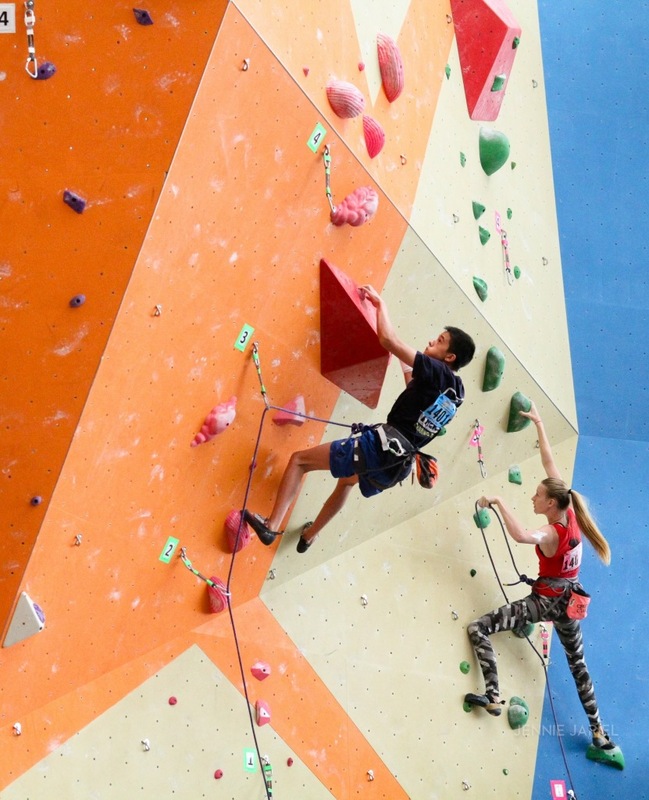 The competition happened at the new Stone Summit gym. 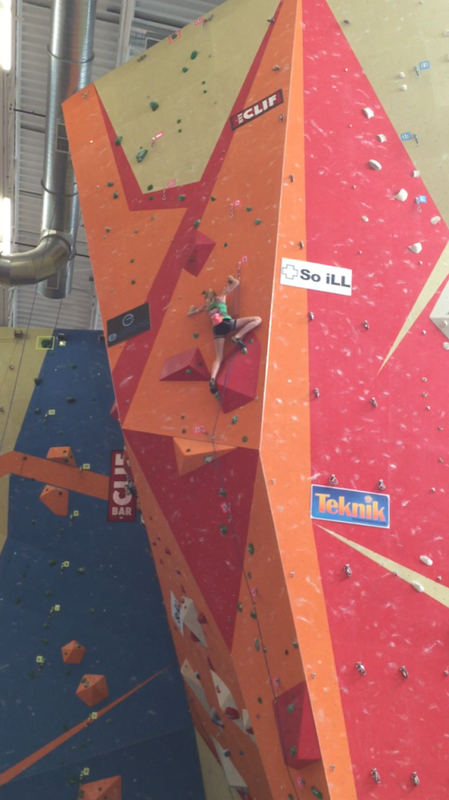 Stine and Isabella climbed really well until they fell (no tops this year-very few tops overall). 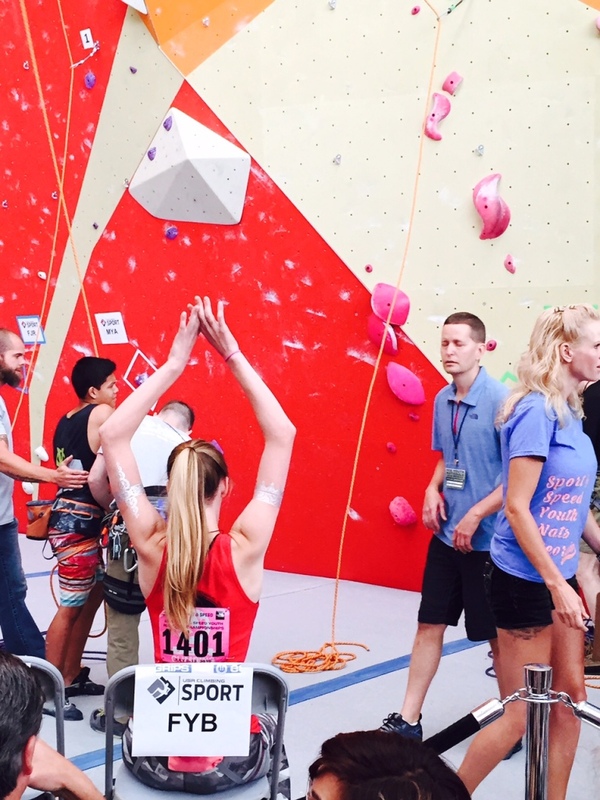 Qualifying route 1: Stine climbed 1st on the 1st day and had a footwork slip when shifting her weight. 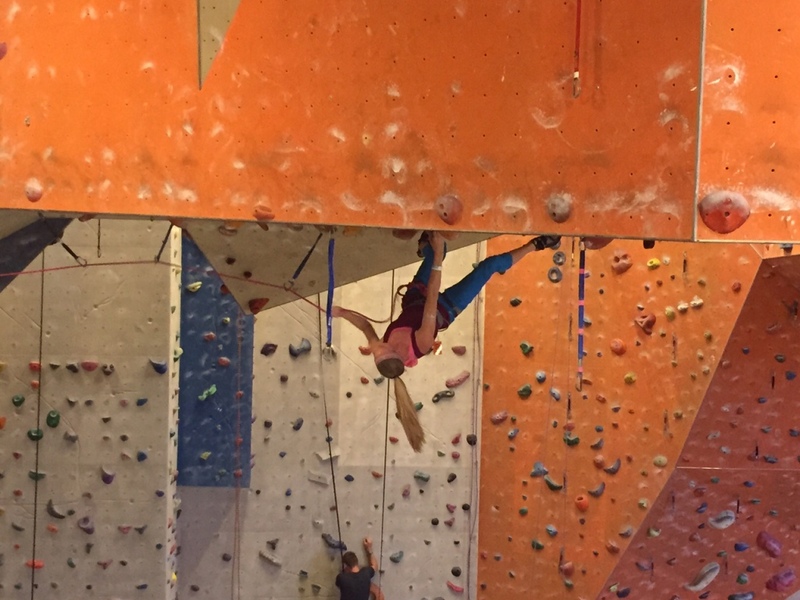 She was high up but the many of the rest of the climbers that day were able to move beyond her point. Isabella got higher. 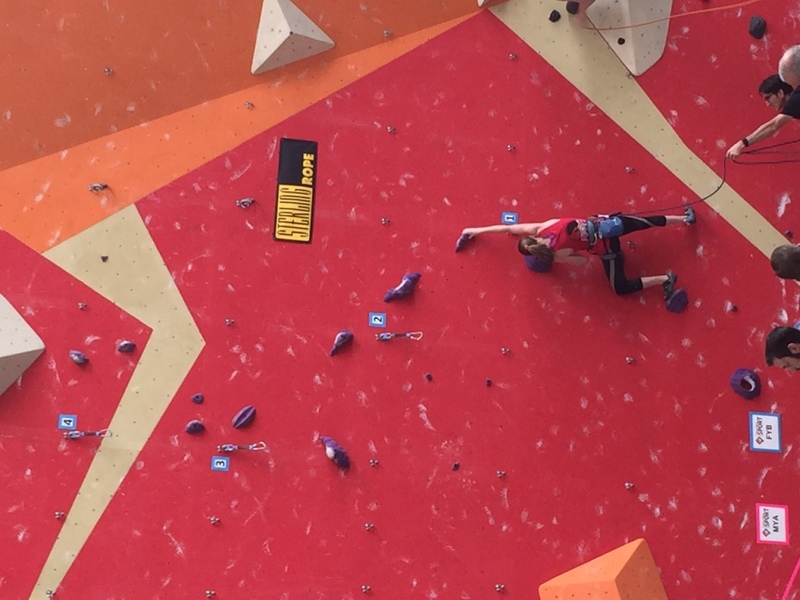 Qualifying route 2: the girls did really well and tied in the spot they reached, quite high but just enough beyond. 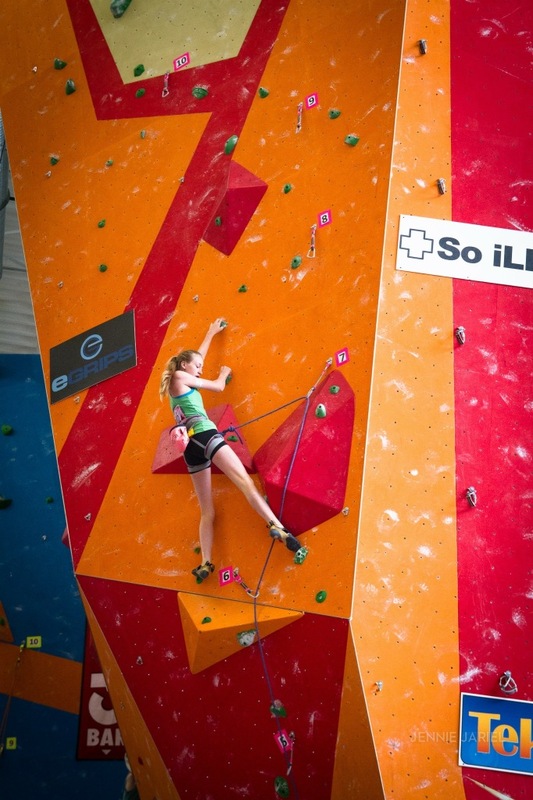 Isabella entered Semi’s at 17th. So the two were close, but Stine’s comparative early fall on Thursday wasn’t enough to move her up. 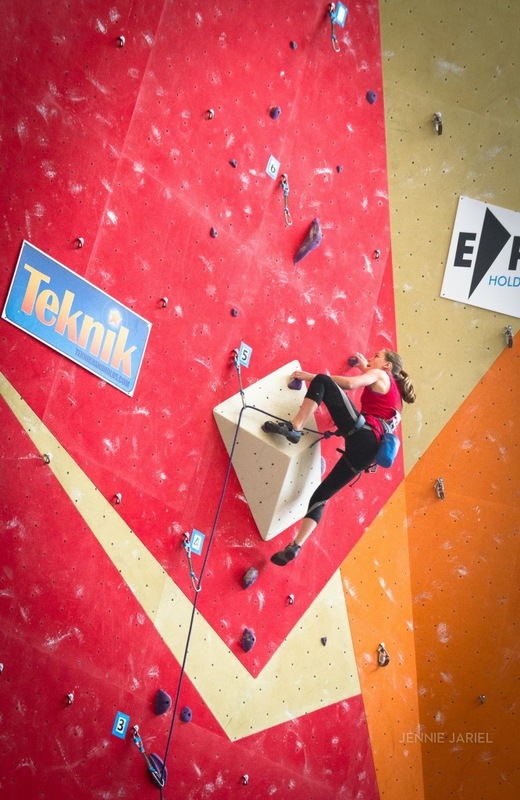 Semifinals route was the most frustrating, as there was a bottleneck crux where only 3 or 4 girls made it past the crux (the top 4 winners). 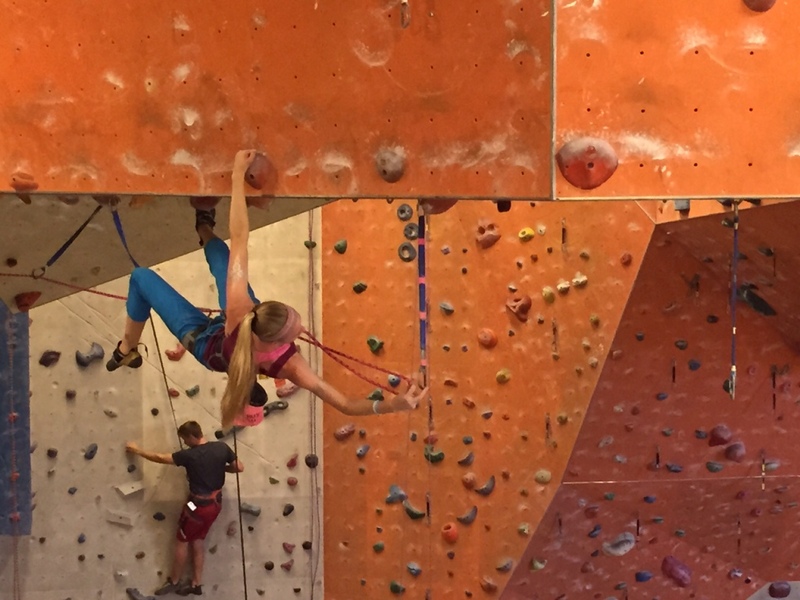 It came down to the same hold, or positive movement toward the next, or usable surface of the same next hold for another 9 or 10 of the girls, with a few just below. 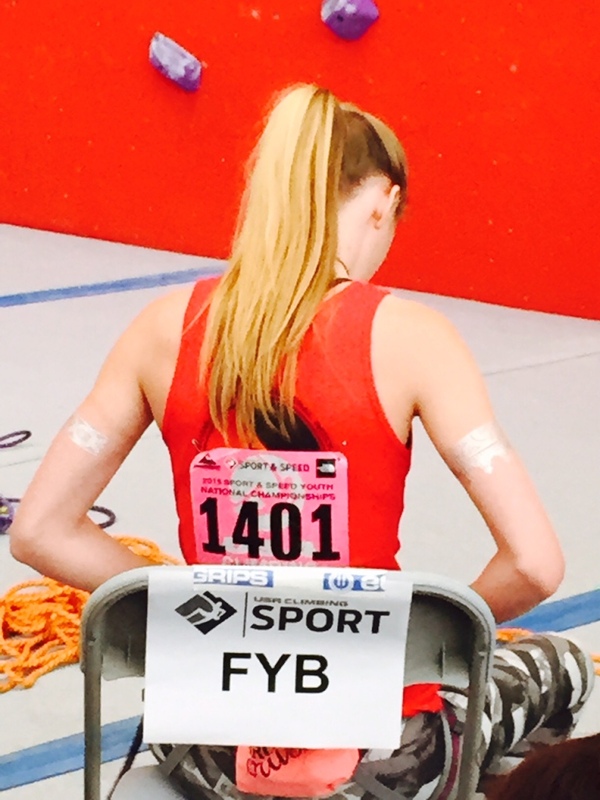 Only about 1.5point difference for 13 girls, Isabella had positive movement so she moved up to 12th. 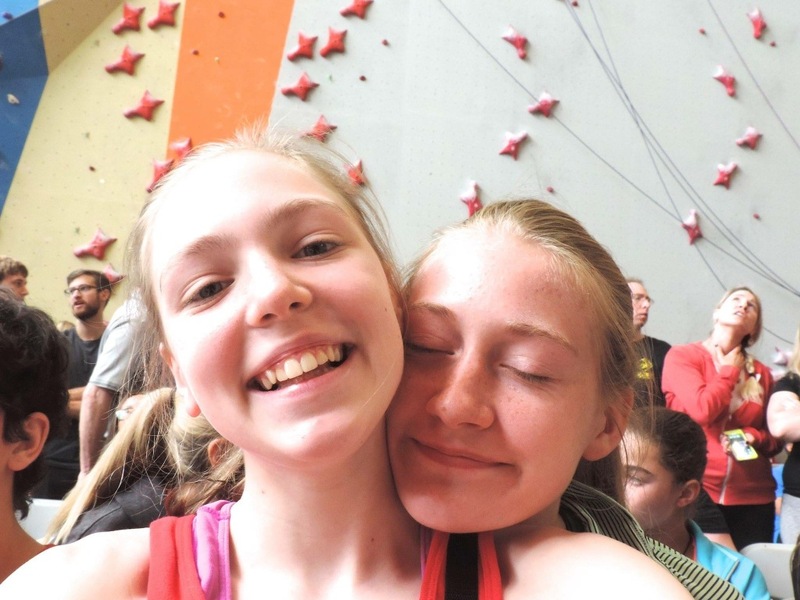 While both girls missed climbing the Finals route, but their attitudes were great and they shared their camaraderie with other Region and Division climbers! This report would not be possible without the Ornes and Snyders-Dykeman families – they generously shared photos, videos and memories! Thank you! 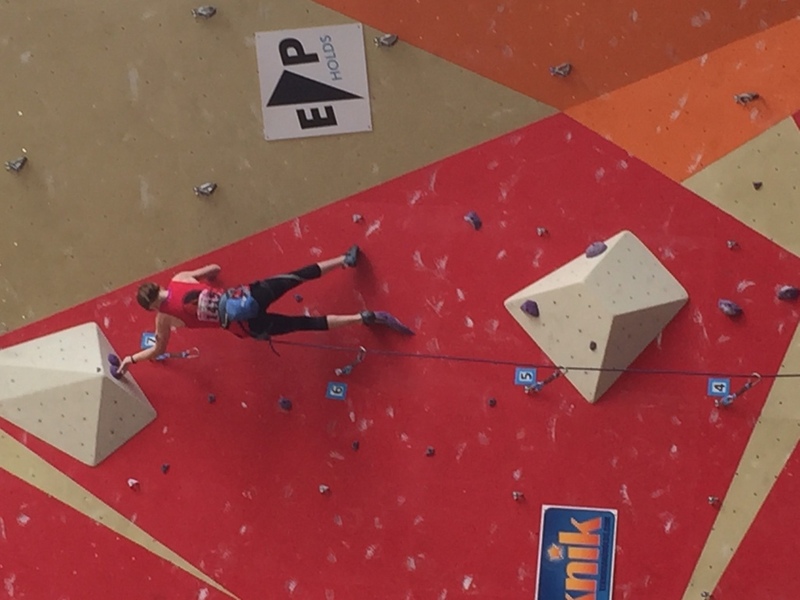 Congratulations to Tristan Chen and Andy Lamb – the 2015 Collegiate National Champions! Our School Five Years Ago. Previous story Team Waimea at SCS Divisionals 2015! Red Rocks Trip. First Of The Season! 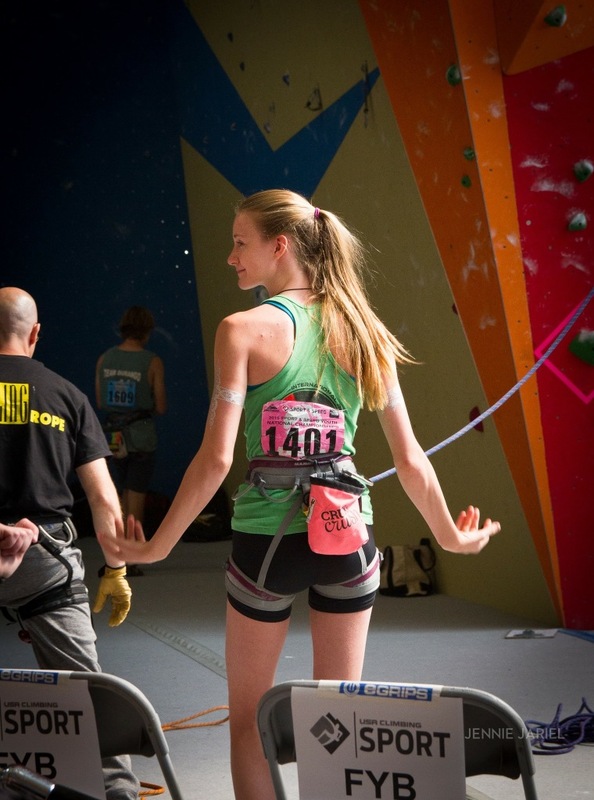 International Rock Climbing School © 2019. All Rights Reserved.